Eden Mill — Quest Brands, Inc. In 2012, Eden Mill resurrected the proud tradition of crafting where the legendary Haig distillers first laid down whisky. One-of-a-kind, Eden Mill is Scotland’s first original single-site combined brewery and distillery. Very few gin makers are as fortunate as Eden Mill and even fewer have all the elements that their specialized team use in creating outstanding flavors and choices. In partnership with Eden Mill, Quest imports outstanding gin and whisky. Made from Fife’s indigenous seabuckthorn berry, the Original Gin balances tart flavours with a citrus nose and delicate midpoints. This is a classic London Dry gin in an Eden Mill Scottish St Andrews style and with a bonus 20cl in this bottle, it’s the perfect go-to pour. How will you enjoy yours? 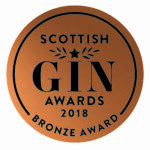 Eden Mill Original Gin, also known as Eden Gin is the St Andrews take on a classic London Dry. Made from Fife’s seabuckthorn berries, a super food that grows within walking distance of our St Andrews distillery. The unique tart berry flavour is abundant but we balance the gin around it using citrus elements drawn from the other botanicals (like lemon balm and citrus peel). This gin is on a quite different level to most. In warm weather, this is ideal for you to share with friends over a summer barbeque. A perfectly sociable gin to enjoy outdoors with friends and family. Love Gin – The famous light blush Pink Gin from Eden Mill brings together an outstanding blend of local botanicals and exotic fruits. More and more people are falling in love with it for its floral and warm berry notes. The pink gin is a pale color when poured and when diluted, sweet vanilla and floral notes are brought out. This unique gin is now also a favorite of many bartenders in Scotland.